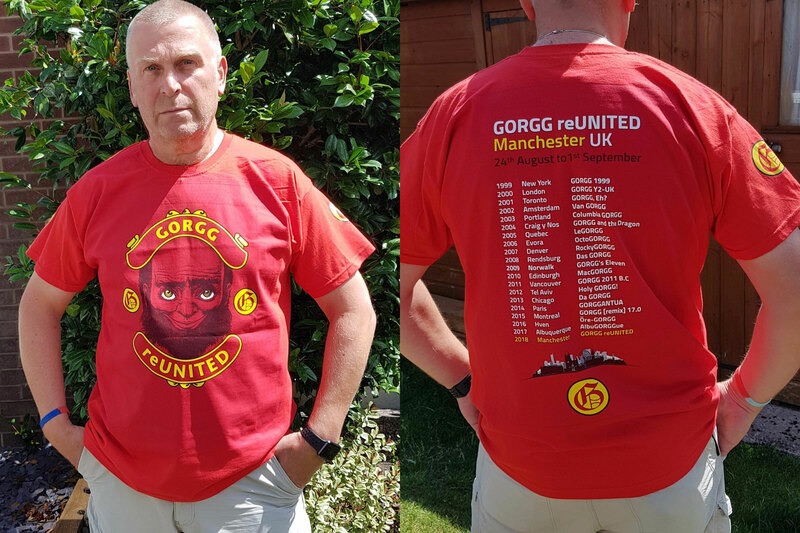 Use this page to order your official GORGG reUNITED 2018 t-shirts, which will be available for pick-up at this year's GORGG when ordered by August 19, 2018. To order merchandise using PayPal, click on an "Add To Cart" button to specify a quantity for the corresponding item to buy. When finished, click on PayPal's "continue shopping" link, then click on the "Buy Now" button at bottom to checkout and pay for your order. All prices are in £ (GBP). This year's GORGG reUNITED 2018 t-shirt is designed by André Bazinet. T-shirts are available only in red. IMPORTANT: Please order by August 19, 2018! !